Is there a problem with Regional Governance? What is governance? It’s totalitarian government that comes with complete control by rules, regulations, and restrictions… and oh, by the way, heavy taxation. How is Arkansas (or your own state) involved? Well, get ready! Here we go, if you can stand the truth! Save this information and this entire article: It is a very lengthy piece and is literally loaded with gold nuggets of hard-to-find information. You’ll want to take your time and read it over several days and ponder its contents. Be sure to click on the links! Sometimes, topics of this magnitude can be very weighty, but it’s imperative that you, the reader, take the time to educate yourself! The scope of one world government will affect us all, and you must be aware of it and open to a call to action. This should have given the American public a slight clue that the global governing elite was trying to end national sovereignty and that this has also been the ghastly goal of the global elite “boards” around the world as they were promoting super-restrictive Sustainable Development practices and dreadful One World Government, complete with heavy-handed socio-communist rule. More recently, people are beginning to connect the dots and make connections between Sustainable Development, Regional Government, and loss of precious freedom… but some are still unaware. Attention all states! Are your local counties in trouble financially and economically? If you say “no”, you may be in denial of Sustainable Development practices that are at work near you and in your state! Are local counties getting stronger, or are they growing weaker? Is our country as a whole getting stronger and growing more vibrant, or is it in a rapid decline? Have you noticed what’s happening to the devastated middle class people in your community, and are they suffering financially and getting poorer? Are the greedy super-rich getting richer? YES, they are! (The love of money is the root of ALL evil.) Small business owners are barely staying afloat when they are competing against large corporations in the marketplace. Have you noticed that the mega-corporations have heavily benefited from international trade agreements such as NAFTA, CAFTA, TAFTA, GATT, TPP, and TTIP that have been pushed onto all countries though the years? So, who really benefits? The super-rich corporations, the global elite! Part of the global elite, or global governance, is the National Association of Counties (NACo) whose deceptive and misleading slogan is “Stronger counties. Stronger America.” REALLY? Is that a fact? Sounds like a “global term” to Secure Arkansas! The number one goal we hear chanted and very closely controlled by the detestable United Nations nowadays is to end poverty everywhere. How are they doing that, you ask? They are really not ending poverty, dear reader, they are simply redistributing wealth. Can’t we are see that our middle class wealth and our resources are being redistributed right out from under us? Take heed, because many will lose their footing in the coming days ahead as the One World Government totally manifests itself to the world! Sadly, it appears that our elected officials are merely puppets and are having their strings pulled by the Council of State Governments (CSG) through ugly policies coming down directly from Washington, D.C. bureaucrats via CSG through NACo to AAC(the Association of Arkansas Counties) and then on to the local counties. All of this is being blindly supported via county and states, just like U.N. AGENDA 21 has called for repeatedly. NACo supports and endorses U.N. Agenda 21 and Sustainable Development, so most of what is being passed down from the AAC is U.N. Agenda 21 directives. The United Nations was designed from the start to promote the cause of world socialism. U.N. Agenda 21 Sustainable Development is destroying our freedoms and limiting our God-given rights. The Council of State Governments (CSG) is located in Lexington, KY, and of course they also maintain an office in Washington, D.C. that tightly monitors federal government activities and their impact on state issues and awful programs. CSG was founded in 1933 and serves all three branches of state government. (CSG was lured away from its original location at 1313 East 60th Street in Chicago, Illinois by the state of Kentucky, which built them a building in Lexington in 1970 and leased it to them for $1 a year.) Their annual dues are paid by each state to support its foul operation. CSG’s mission says itself that it “champions excellence in state governments to advance the common good.’ The term “common good” is a socialist term meaning control the world’s wealth and its dumbed-down, lazy population. Follow the money, and find out how billions of tax dollars are wasted and spent with NGOs! The nasty Council of State Governments (CSG) reported in their 2014 IRS 990 filing (EIN 36-6000818) that the dues paid by 55 members are $7,085,200. That breaks down to $128,821.00 per member. This is for 50 states and 5 territories. All of this is an absolute waste of our tax dollars. The National Center for Interstate Compacts (NCIC) has established and designed a database that is searchable by state. Click here for a list of all the unsightly Arkansas Compacts according to Arkansas Codes. A sneaky cover! It appears that the CSG organization structure and CSG annual dues are buried in a 1957 Interstate Compact titled “Interstate Compact for Juveniles”. See Article IV “Powers and Duties of the Interstate Commission” and “Article V Organization and Operation of the Interstate Commission of the Interstate Compact”. Money! It’s all about the money, so follow the money! NOTE: In 2003, this pretend preacher, Arkansas’ Gov. Mike Huckabee (R), was a president/chair of the vile Council of State Governments (CSG). He would have had a clear understanding of “the Agenda” that would await Arkansans, as well other states. Huckabee appears to be socially conservative but has promoted U.N. Agenda 21 programs all along, behind the scenes. Please bear in mind: not everyone is who they claim to be. Council of State Governments (CSG), National Associations of Counties (NACo), and Association of Arkansas Counties (AAC) are not the only NGOs with which we need to be concerned, either. We are dealing with many different Non-Governmental Organizations (NGOs) that have international ties, all attempting to establish horrendous Metropolitan and Regional Government within the United States. To understand Regional Government, it is necessary to know what Metropolitan Government (Metro) involves because Metro and Regional Government are really the same. Metro/Regional Government is the governing of an area or region by a central body of appointed (NOT elected) officials who have unlimited and sickening unconstitutional power! Promoters of Regional Government claim that it is a new form of government, but it is the oldest form in history: a dictatorship. Please try to understand just how big this leviathan has grown during the 20th Century! This monster is coiled, twisted, and deadly! Our country has been poisoned with frightful unconstitutional government. It has been writhing throughout governments across the planet! Nations have been threatened and forced to give up their sovereignty. Our once-great nation has had our constitutional protections dismantled incrementally while we slumbered and slept! What is their evil endgame? Well, for starters, it is abolishing local governments. It tells local governments to bow to “the agenda” and move forward. How is “the global agenda” implemented locally? NACo admits: This link claims that 48 of 50 states have operational county governments. “Connecticut and Rhode Island are divided into geographic regions called counties, but they do not have functioning [county] governments.” County governments need to WAKE UP and regain local control before they go the way of Connecticut and Rhode Island! Locally: We hear a lot about the Association of Arkansas Counties (AAC), the National Conference of State Legislators (NCSL), the Arkansas Municipal League, and the American Legislative Exchange Council (ALEC). The stranglehold that these Non-Governmental Organizations (NGOs) have on our state (including our legislators and governor) and on our counties and cities is much worst than you think! All of these NGO groups are funded with your tax dollars, grants, and lobby money, and unfortunately many state legislators pridefully tout their involvement with CSG, and they appear unwilling or unable to shake loose of it.Their connections to CSG (and other NGOs like American Legislative Exchange Council/ALEC and National Conference of State Legislatures/NCSL) may be found in their biographies on the Arkansas State Legislature website (or on any state website). Also, CSG has subsidized stealth lobbyists to work in our state capitols with LOTS of taxpayer money to advance their corporate agenda. We’re talking about a MULTI MILLION DOLLAR budget, funded mostly by taxpayers. That means YOUR MONEY! Are you willing to sit back and continually allow the NGOs (unelected officials) to run your city, county, school districts (producing children that are being socially engineered and heavily medicated!) and state government? Remember, it was just last month, June 2017, that we all found out that none of our Arkansas county local elected officials, or state legislatures were notified by the National Association of Counties (NACo) or Association of Arkansas Counties (AAC) about submitting their official comments to the EPA and weighing in on the definition of “navigable waters”. Did NACo/Association of Arkansas Counties (AAC) fail in NOT officially and directly informing Arkansas’ 75 counties of their duty to submit a comment about this strategically and desperately important waters of the United States (WOTUS) issue??? YES! Also, it appears it happened in all other states, too. Looks like they failed to act on purpose… deliberately neglectful! It has been reported to Secure Arkansas that Association of Arkansas Counties (AAC) decided to “sit this one out”! This was regarding our WATER, folks! It is time for the government to terminate their membership in all of the covetous NGOs (and some are International NGOs) in which they have memberships. We are reminding the reader once again that it’s your tax dollars that are funding these NGOs and keeping them alive. Are we funding our own destruction? Click here for the Arkansas Legislative Audit of the Association of Arkansas Counties (AAC) for 2014. This is the latest audit available. Membership dues for Arkansas 75 counties are $196,454. This for-profit entity is busy wheeling and dealing with their immense wealth and power. More about the Council of State Governments (CSG): The organization chart of these 22 wolfish NGOs found by clicking here (and included in the body of the article directly below) shows “the network”, controlled by CSG and developed by the selfish and powerful Rockefellers, to indoctrinate our public officials and redirect the course of American government so it could be managed by global government. These twenty-two (22) NGOs (bullet-pointed below) were originally housed in a building located at 1313 East 60th Street, Chicago, Illinois. This building was constructed with a $3 million dollar grant from the Rockefeller Foundation as reported in the Spelman Fund Annual Report of 1947-1948. This is where Metropolitan/Regional Government first got its start. The goal of this ruthless group — CSG — is to work secretly behind the scenes to undermine elected officials and independent thinking, eradicate personal property, destroy constitutional government and our political system, and subvert the sovereignty of the United States. This group is considered the political Mail Order law factory for providing model bills to state, county, and city government. This means that it dictates policy and drafts legislation to make laws the same throughout the United States. This is all part of the global collectivist agenda that the United Nations has been planning since its founding in the 1940s. Political Law Factory – drafting legislation to rob millions of Americans of their freedom. United Nations’ disturbing involvement: Notice that the chart (pictured above and more easily viewed here) mentions UNITED NATIONS and UNESCO — Public Law 565. Joint Resolution 305 became Public Law 565 of 1946. See how this convoluted, wicked web has been spun over the ENTIRE PLANET… entrapping all governments of the world, including the United States?! Getting a clue in your own state and the interdependence between government and NGOs: The groups below are pretty much controlled and run by Council of State Governments (CSG) and financed by the American taxpayers at the federal level, and the Office of Management and Budget (OMB) formally known as the Bureau of the Budget (founded in 1921). OMB acts in liaison capacity with CSG and gathers together proposals on which federal agencies push state approval. CSG created its Committee on Suggested State Legislation and established a cooperative arrangement with National Conference of Commissioners on Uniform State Laws (NCCUSL) which provides CSG with a handy network through State Commissioners on Uniform Laws. The Council of State Governments (CSG) is working with all forms of government, and it’s complicated! Here’s their agenda: —CSG is the permanent administrative office or secretariat for the National Governors Association; the Conference of Chief Justices; the National Conference of State Legislatures (NCSL); the National Associations of Attorneys General, State Budget Officers, and State Purchasing Officials; the Parole and Probation Compact Administrators’ Association; the Juvenile Compact Administrators’ Association; and the National Conference of Court Administrative Officers. The Council has a cooperative arrangement with the National Conference of Commissioners on Uniform State Laws. Objectives of “the Council” (CSG) are to assist or control all the state governments to look alike in their legislative, administrative, and judicial practices and services, to force interstate cooperation, and also – to facilitate and force federal to state relations and to force state to local relations. This means that CSG’s job is to make sure that policies being generated at the federal level are carried out statewide and locally. Getting a clue locally for your state: We are caught in such a tightly weaved, wicked web, it’s hard to move, let alone have any freedoms. The government and the NGOs are debauched and gluttonous. They are involved in a money-grabbing, symbiotic relationship, meaning very tightly woven together to create a dictatorship. How? By the NGOs writing the state legislation AND even supplying local policies to be implemented by the government. Global to local! This is NOT good. More clues on how powerful NACo really is: NACo affiliate organizations are aligned with departments within the county government structure. Members of the affiliates are county elected or appointed officials that perform a specific job within a county. Each of the organizations below has been officially recognized as an affiliate of NACo and is allowed one representative on the NACo Board of Directors. 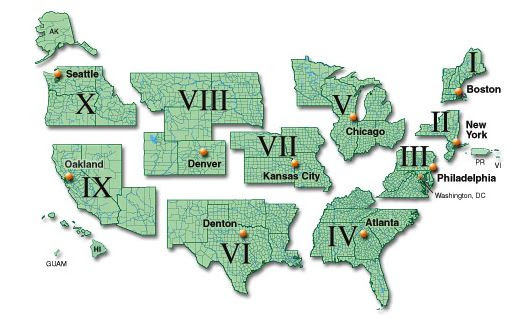 Now, if this wasn’t bad enough, President Nixon signed Executive Order 11647 on February 10, 1972 establishing the ten Federal Regional Councils. 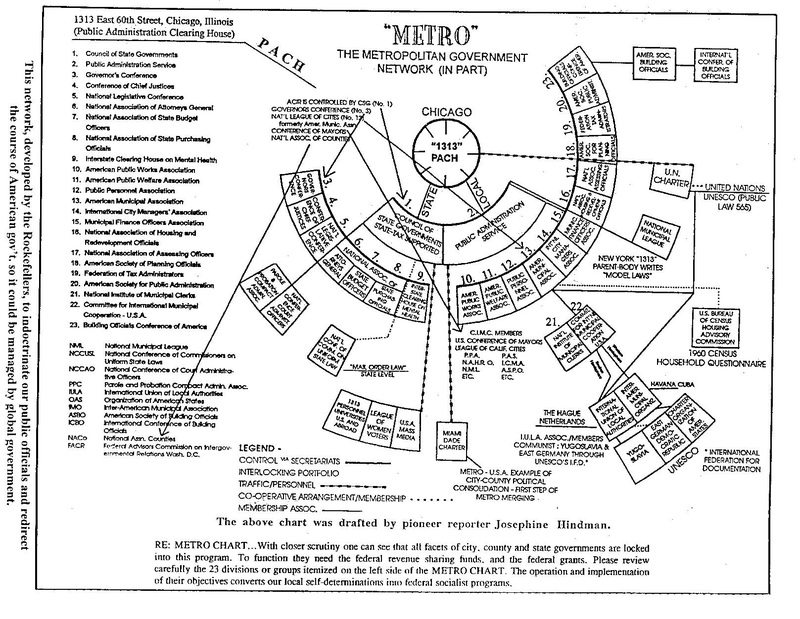 This EO furthered the poisonous goals of Metropolitan/Regionalism Government. Nixon’s EO 11647 was and “is” unconstitutional and has helped steer our country right down the path of United Nations Agenda 21 and its globalist trappings! This goes against Natural Law and individual freedom. However, under the Federal Regional Councils proclaimed by President Nixon, government in the ten federal regions would be administered by federal appointed bureaucrats accountable only to Washington, D.C.
Nixon’s actions were a clear violation of the U.S. Constitution, according to Article IV, Section 4. Nixon’s unilateral establishment of the ten sinister federal regions (FEMA districts) violates this clause in the U.S. Constitution inasmuch as, prior to the issuance of this edict, the President did not obtain the consent of all the state legislatures concerned, nor of Congress. Shown directly below is a map of the 10 FEMA Regions/ Districts. Note that this was taken directly from the FEMA website. Another important fact to ponder is that state borders are being eliminated in order for the ten FEMA Districts to be fully implemented. What could this mean for your state? The 18 states listed below are the ONLY states that have a legally defined boundary in their state Constitutions. 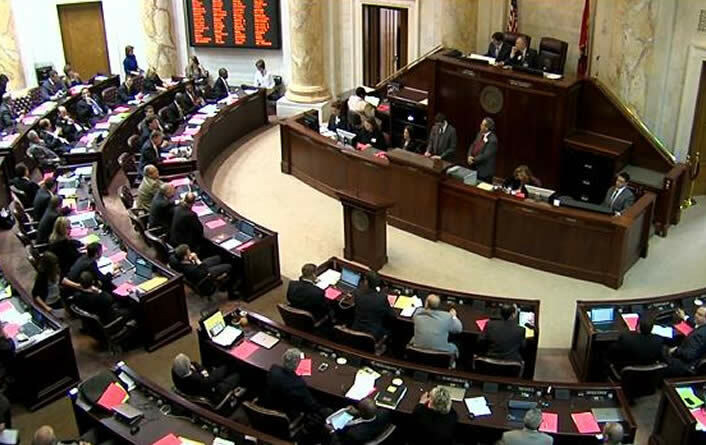 Dissolving a legally defined boundary was attempted in Arkansas in 1995 by Governor Jim Guy Tucker, and a special election was held on December 12, 1995… but thank goodness, the call for a Constitutional Convention failed, with eighty percent opposed. It appears to us after our decades of watchful research that Con-Cons (known these days as Article V Amendment Conventions) are typically called for malevolent purposes. PLEASE NOTE: when state border specifications are gone, the sovereign states will cease to exist. (Note for our Missouri readers: your state lost a legally defined boundary years ago.) Evil never sleeps, and you need to know that these 18 states will be targeted to have their legally defined state boundaries dissolved! More than likely, they will try to call for a Con-Con (Constitutional Convention a.k.a. Article V Amendments Convention) to do this. This is another reason we must stay alert, informed, and prepared for action, considering these are the only 18 states left with legally defined boundaries. They need to courageously and resolutely retain – and hold on to – their precious sovereign state status! Since 1972, the following two states had their state boundary definition repealed. The voters of the state approved both of these messages. Montana removed the definition of their state boundary via a State Constitutional Convention a.k.a. Con-Con or Constitutional Convention. There is a plan to replace our existing Constitution. No Rights — No Freedoms — Just Privileges!When the government colludes with the major corporations, it results in extreme radical authoritarian corporatism. That’s an NGO in a nutshell. Beware of a Constitutional Convention / Con-Con of any type! Alarming Agendas on water: It appears NACo and CSG – along with U.N. Agenda 21 and now also Agenda 2030 – through corporations, as well as both local and state government, are attempting to control all sources of water including all rivers, creeks, streams, ponds, and even wells on private property… So, in other words, they want to control every drop of rain that falls from the sky and every bit of water that springs forth from the earth (fountains from the deep)! Just a reminder: the EPA (NOT Secure Arkansas) was requesting official comments from state and local officials. Remember, this issue was about defining our water rights, everyone. WATER! Justices of the Peace (JPs) or County Commissioners in some states, had an obligation to represent their districts. Pause and let that sink in for a moment! Surely you would have wanted the quorum court in your county weighing in on the definition of “navigable waters”. Right? Several counties would NOT even lift a finger or even dare to make a move. Why? Why were they so paralyzed? What were they so afraid of, anyway? The resolution did NOT change any laws. Members of Secure Arkansas contacted the Saline County Quorum Court members many times in early June 2017 by phone, and Secure Arkansas emailed them information about the EPA deadline for state and local official comment regarding the definition of “navigable waters” under the Waters of the U.S. rule — specifically about how the definition of “navigable waters” would affect Saline County and what could be done about it. One Secure Arkansas supporter contacted quorum court member John Kimbrough who initially agreed to sponsor the resolution… but he then rescinded his decision after he talked with the county judge. Secure Arkansas immediately contacted Barbara Howell, Everett Hatcher, James Zahn, and many other JPs, including the County Judge, Jeff Arey. We explained the importance of the resolution and the urgency of the vote on the resolution because of time constraints due to the EPA-issued deadline. (The deadline for official comments to the EPA was June 19, 2017.) The county judge then agreed that the resolution could be brought up at the quorum court meeting on June 19th. The Secure Arkansas member then called quorum court member John Kimbrough back to tell him this, and he replied, “You’re wearing me out with this!” and also stated that he runs businesses and is a very busy man. Those seemed like odd things to say, since the two had only spoken a few times and since he (hopefully) ran for office to be a public servant which involves matters that concern Saline County and its residents… and especially because the resolution is very important since it involves control of the waters of Saline County! Mr. Kimbrough agreed again (hesitantly) to have the resolution heard at the meeting. At the quorum court meeting after new business was covered, it was asked if there was any public comment. The Secure Arkansas member stood up, handed out packets to the quorum court members (including the blank resolution and Official Comment Form for JPs), and spoke for several minutes about the importance of the whole matter. Mr. Kimbrough then made some comments about that he wasn’t comfortable bringing the resolution up for a vote since the quorum court members were “just being made aware of it”. (Again, they had been notified about the EPA deadline by email and phone since early June, and the quorum court meeting was on June 19th — plenty of time to look into the matter and contact Secure Arkansas or some other informed entity with questions or concerns.) Mr. Kimbrough deferred to quorum court member Steve Gladden who had worked with the EPA before, and Mr. Gladden admitted to having received an email about it. It must have been from Secure Arkansas because no one else was sending out anything about the EPA comment period for state and local officials! He made some comments about how the issue was in litigation, but the Secure Arkansas member stood up again, clarified some statements, and told the quorum court members that — if they still remained unwilling to vote on the necessary resolution collectively — they could still support Saline County individually and submit the Official Comment Form for JPs to the EPA via email at [email protected]. ONCE AGAIN, just so you understand: the EPA (NOT Secure Arkansas) was requesting official comments from state and local officials, and Saline County Quorum Court failed to officially notify the EPA of their stance regarding the definition of “navigable waters” under WOTUS. Please provide legal citation, meaning a copy of the procedural ordinance for the Monday night June 19, 2017 claim by Chief Deputy Prosecuting Attorney Devon Still that a unanimous vote was required to add an item to the agenda during a meeting as the Carroll County News reported this week. 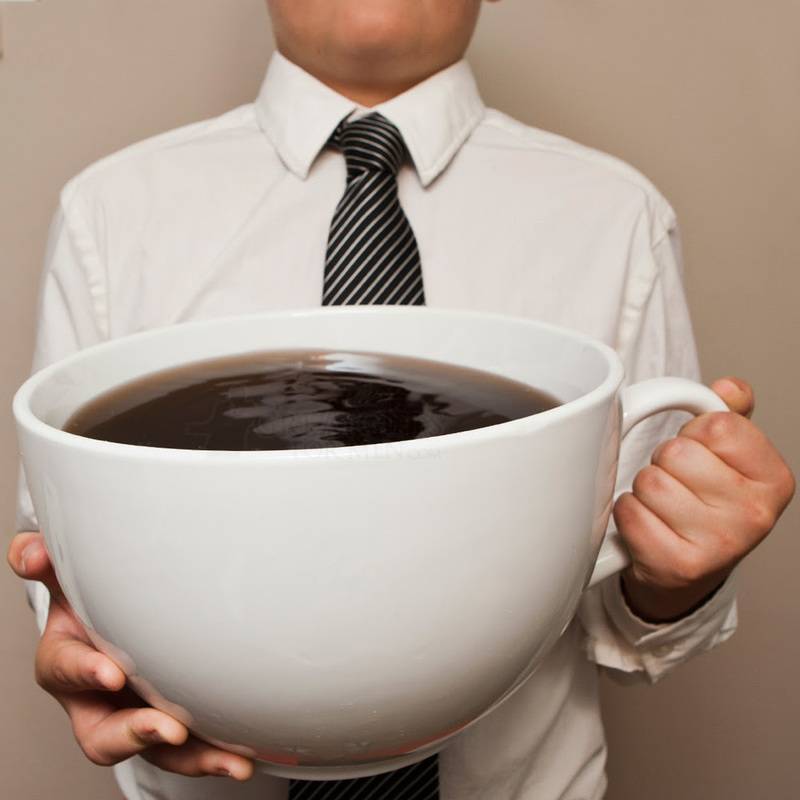 … I BELIEVE this is what you are looking for. I did not attend the meeting, and Judge Barr is not available for me to ask. Our Justices of the Peace PRESENT at any meeting, may consider any OTHER MATTER, only by UNANIMOUS consent. Mr Johnson voted NAY. Most of the JPs in this county were on board with the resolution and wanted to weigh in on the definition of “navigable waters”, but Carroll County Judge Barr had other plans. The vote to consider our resolution was unanimous except for one JP (Mr. Johnson) who was the only one on the quorum court to vote “nay”. That is how Judge Barr got around having the resolution brought up regarding “navigable waters”. Again, it looks like the vote must be unanimous for the quorum court even to consider the resolution. 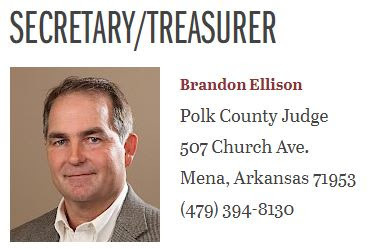 If you click on the Carroll County Judge’s website — http://co.carroll.ar.us/countyjudge/ — you’ll see that most of the information is taken directly from the Association of Arkansas Counties website. So, guess who commands this official?! Judge Barr himself did not write the statements and information on the county website. Looks like he’s in office to follow the instructions and directives of NACo! Most of the Marion County JPs and Judge Ott seem to be controlled by the Association of Arkansas Counties and Samuel J. Pasthing, a lawyer from Flippin who serves as legal counsel for the Marion County Quorum Court. Judge Ott manages to dodge phone calls of inquiry if he thinks it would be controversial to the wishes of the AAC. That’s just what he tried to pull through his gatekeeper that answers the phone, giving multiple excuses as to why he could not come to the phone and discuss the waters of the United States (WOTUS). Many people we have interviewed in that county are so disgusted with the quorum court because they feel totally disenfranchised from their local government. Also, most of the JPs there do not seem to be able to think for themselves. Instead, they want to know what the attorney thinks. Residents of this county have elected a local government that doesn’t seem to capable of thinking on their own. 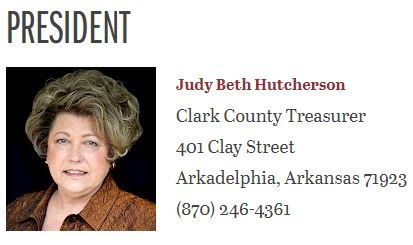 We did remind one of the JPs that the residents of that county elected them — the JPs, NOT the attorney that probably works hand-in-hand with the Association of Arkansas Counties’ (AAC) vile agenda. Here are the minutes from their quorum court meeting on June 13, 2017. Go to page 3 to see their statement about the resolution. Mike Scrima was the JP who should be applauded for bringing up the water resolution! Note: County roads have been a big issue this year. Residents need to attend the quorum court meetings in order to hold JPs accountable. The road issue will be an even greater issue in the future because, according to U.N. and NACo beliefs, many roads (especially paved and tarred roads) are “not sustainable”. Now we come to Arkansas’ federal delegation: Click here to see the letter that Secure Arkansas sent out to the entire Arkansas federal delegation. It would be up to Congress to do something about the failure to notify our elected officials. Failure to notify all elected officials is serious! Please click here to read the Secure Arkansas alert regarding failure to notify. This proves that our local and state governments were totally left out of the process concerning our WATER! Our country has been co-opted, our local counties are being adversely affected, and the NGOs can be a cruel enemy to the people because they are self-serving. In other words… involved in the government for a profit. and you’re over halfway through the article. Just so you know, this article was laboriously prepared because we truly want you to be informed, enlightened with facts and truth, and prepared for action now and in the coming days. This is a battle against controlling forces of the one world government which do NOT have our best interests in mind… Millennials, we’re thinking of you, too, you know… It’s critical that this generation understands that our American liberties could be lost and our monetary system could collapse. What are YOU willing and able to do about it? Who really runs our local government? It is actually elected officials? Or could it be private entities other than those whom we have elected? Should you be concerned about what goes on in your county at the local level and all the counties across the country? Are you concerned about the taxes you owe, your property rights, your sheriff, or even the county judge at the quorum court? Absolutely, you should be! Who pays for Non-Governmental Organizations (NGOs), like the National Association of Counties (NACo) and the Association of Arkansas Counties (AAC) to basically manage and train our local ELECTED officials? YOU DO! Local operatives: One of them is Chris Villines (from Saline County), the Executive Director of the Association of Arkansas Counties (AAC). 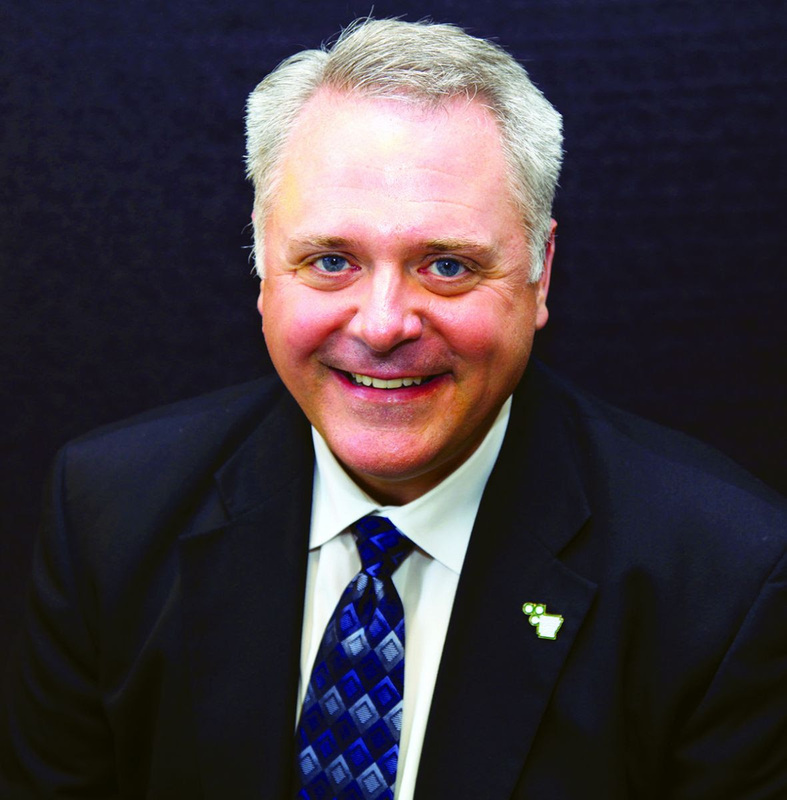 He has been the executive director since July 2010. He’s in the driver’s seat to impose NACo’s authoritarian, corporatist directives upon Arkansas! NACo training, meetings, and conventions: Who gets to vote when the National Association of Counties has their annual business meetings? Their 82nd annual convention is going on in Columbus, Ohio right now, July 21-24, 2017. NACo allows the counties attending their convention only so many votes based on dues paid to NACo. (Highlighted below) Remember, they are a money-making business! NOTE: this money making agenda includes the global green initiative incorporating the technocracy buzzwords “Smart Growth”, smart meters, “greening”, sustainable policies, alternative energy, conservation easements, comprehensive planning, Public/Private Partnerships, “social justice”, and “quality of life” initiatives, among many others. These policies are slowly… methodically… and incrementally abolishing private property as green initiatives and wildlands projects are implemented. Once private property is abolished, there go our individual freedoms and liberty! We need to help expose these U.N. Agenda 21 policies, and ROOT THEM OUT of our towns, cities, and counties! Special note: Greening has been a big money-making business and put many towns and cities in debt! : “Green initiatives” are the pervasive policies of U.N. Agenda 21 and Agenda 2030. They are a “wolf in sheep’s clothing”. 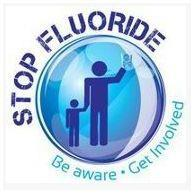 They are not good environmental policies (example: allowing toxic fluoridation in our drinking water that harms our bodies!). In all reality, they impose a global, centrally-planned pseudo-government administered by the United Nations. Under Agenda 21, government is centralized, and local authorities are required to strictly conform to a common prescribed standard. NACo and AAC are a part of this agenda. “During NACo’s 2017 Annual Conference in Franklin County, Ohio, delegates from member counties will cast their votes for a new executive leadership team, changes to the bylaws and new policy positions for the American County Platform. Following are the vote totals for each member county. The number of votes assigned to each county is based on a formula that awards one vote for every $500 (or fraction thereof) paid in NACo dues. The American County Platform is NACo’s 152-page manual which lays out their standardizing beliefs, platform, resolutions, and requirements for counties across the country. DO NOT MISS reading this document! The National Association of Counties (NACo) is the only national organization representing county government in the United States. Its membership includes urban, suburban, and rural counties. NACo is governed by its member counties through a weighted voting system based on dues, which are based on population. Member counties elect officers and a board of directors at the annual conference. assist their citizens in achieving a better quality of life. A collaborative partnership, involving government, health, education, business, and the community is essential to achieve this vision. THIS is how local governments are usurped by U.N. policies. What are the other associations in your county that could be carrying out Sustainable Development practices and goals? They are listed below. Keep reading. There “is”, not “was”, a loss of confidence and trust between people and Governments… as long as we have the United Nations involved with manipulating U.S. policies, even down at the local level, we are doomed to fail! Please think long and think hard about what Secure Arkansas is laying out before you once again in this article, dear reader. NOTHING about our government will ever change until we the people understand how – and by whom – we have been sold out! Remember — these NGOs are profiting from all of this! The following organization’s mission is to “File Amicus Briefs before the U.S. Supreme Court for State and Local Governments”. NACo’s BYLAWS (adopted July 2016) govern how the association is run, detailing its object and purpose and the structure and responsibilities of the Board of Directors, the Executive Committee, and the membership. NACo’s Annual Conference is going on right now, July 21-24, 2017, and here is their 133-page Proposed Policy Resolutions and Platform Changes document for 2017… so we will have to wait and see what changes will actually be made. Now we’d like to focus your attention back on some things happening locally in your area. You might want to pay attention to the 2017 County Government Tax Levies Manual. Also, notice the County Sheriff’s Procedural Manual. This is what your so-called elected sheriff has to go by, dear reader! Can you now see a little better why our government is really run by the insatiable Non-governmental Organizations (NGOs) — which we never elected in the first place — AND why our propped up, pretend government is so corrupt ? Last, but not least, notice the 2016 Circuit Clerks Procedural Manual. 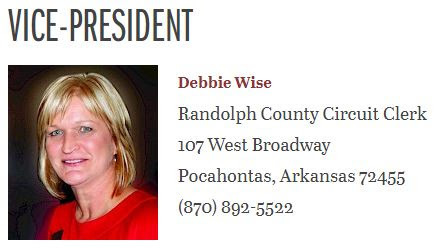 This reveals who was on the Board of Directors for the Association of Arkansas Counties (AAC) in 2016, but shown directly below are pictures and contact information for their current Board of Directors as shown on their website. 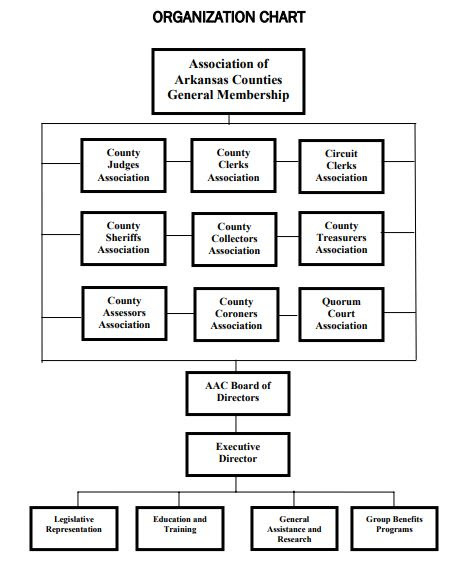 Shown directly below is the Arkansas Association of Counties (AAC) Organization Chart from their website. NACo supports and endorses U.N. Agenda 21 and Sustainable Development, so most of the directives that are being passed down from the Association of Arkansas Counties (AAC) are U.N. Agenda 21 directives. The United Nations was designed from the start to promote world socialism. U.N. Agenda 21 / Sustainable Development is limiting our God-given rights and destroying our freedoms. Dear reader, we can no longer sit back and relax. Action must be taken quickly! It’s time to contact our elected officials and send them this article: County Judges, Justices of the Peace (JPs) or County Commissioners, Mayors, City Council Members, and School Board Members need to terminate their membership in all NGOs in which a fee is involved. All of these NGOs have a hidden agenda that is being driven by the federal government down through CSG and then on to NACo and then AAC. Directives are also coming down from CSG and then on to the Municipal League. This affects our cities AND counties. The only way that the state, city, and county governments will be able to get back their sovereignty back is by removing the NGOs from their sphere of influence. Our elected officials should be performing the will of the people, not the will of some NGO that is pushing the agenda of Washington, D.C. or some international group. These destructive United Nations Sustainable Development policies filter down through NACo and are UNconstitutional. It’s a fatal connection! These policies are NOT going away — they will actually only accelerate — unless we stop supporting this illegitimate government through taxpayer funds! ALSO, U.S. Senators and Congressmen need to be working with government agencies to have those agencies deal directly with the the state and local government instead of dealing with the NGOs. In the case of the waters of the United States (WOTUS), EPA met directly with NACo… but left the local government out of the loop for the counties to comment directly to EPA. Readers, please take action, and send your U.S. Senators and Congressmen this article. You may forward it to them, and we also post our articles on our website: www.SecureArkansas.com . Click here to learn how to contact U.S. Senators. Shadow government: One should be able to clearly see that, with CSG, NACo, and other NGOs in charge (across the U.S.), we are finding our local counties and our whole country suffering more than ever before! The will of the people is not being served. After reading this article, do you think that our local officials are still in control of our counties? They need to become more aware of the power and authority that they really have and take action against the authoritarian NACo directives! You need to know that evil has no convictions. Thank goodness for our Arkansas State Constitution! According to the Arkansas Constitution, Article 7, Section 28 & 30, county officials have the responsibility to exercise distinct and individual authority of “exclusive original jurisdiction” in all matters pertaining to local concerns. “Quorum Court District and Township officers. (1) There shall be elected in each of the quorum court districts of the counties of this state one (1) justice of the peace who shall preside over the justice of the peace courts and perform such judicial duties as may be prescribed by law and who shall serve as a member of the quorum court of the county in which elected and shall perform such legislative duties as may be prescribed by law. Each justice shall be a qualified elector and a resident of the district for which he or she is elected. Please remember to share this educational article because it took a lot of time to research, and it will help you make connections between these sinister Non-Governmental Organizations (NGOs) and their authoritarian corporatist agendas — locally, federally, and globally! We should have seen how a system of councils or NGOs are reporting to an apex council to direct a predetermined outcome of policy and that members are chosen by their willingness to comply with the objectives. Wow! That sounds like communism to Secure Arkansas… or something very similar. States, counties, and cities need to terminate their membership in ALL of the NGOs, get the NGOs out of our lives, and get our sovereignty back! Are they courageous enough to do it?